In today’s world, both men and women have to work harder than ever before to get ahead. It can seem like you don’t have time for a relationship. And spending the time to find the right someone? Forget about it. But what if you didn’t have to separate the two things? What if you could further your career while seeking out potential partners? People have been meeting romantic partners at work for decades. In fact, just under 18% of current couples met at work according to a recent survey. Even better, a separate study found that 14% of couples who met through work ended up married. This is compared to the 11% who married after meeting through friends. But if you work in an office, I’m assuming you’ve already tried that route. My suggestion is different – keep an eye open for potential partners at business conventions. Here’s why you might have more success. You have good odds. Unless you work in a female-dominated industry, business conventions tend to have lots of men. Fifty-fifty at worst, and a higher percentage wouldn’t be surprising. Higher numbers of men give you a better chance of finding a potential partner. Moreover, fewer women means less competition. 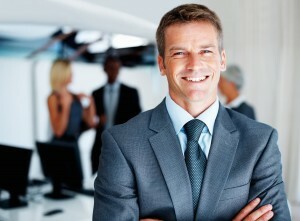 Men at business conventions are also more likely to be smart and ambitious – two great qualities in a long-term mate. You have a reason to talk. People come to business conventions to network. Raise awareness. Plug products. If you’re the type who gets nervous approaching a guy romantically, don’t. Start with business talk. Then move on to more personal stuff. He’ll want to talk. This is like the flip side of the above reason. You’ve got a pitch? He’s got a pitch of his own. 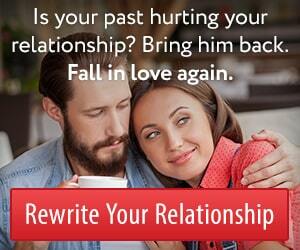 He’ll be receptive to you because he wants you to be receptive, too. Likely commonalities. If you’re attending a business conference, it’s because you’re driven. You want to get ahead. Well, the guys who attend are likely going for the same reasons. They’re driven. They want to get ahead. So right off the bat, you know something about him. You have something to connect about. Plenty of playtime. Business conferences can be hard work. The constant networking. The lengthy seminars. The overwhelming convention floor. But these events also tend to allow for plenty of socializing as well. Mixers. Random meet-ups at bars. Competitions. If you meet a guy you like while in “convention mode,” you’ll have opportunities to see his social side, too. You can kill two birds. At the beginning, I brought up the lack of time as a reason for not being able to find a guy. How can you focus on your career and look for a relationship? Well, here you’re literally doing both things at the same time. Be on the lookout for scammers. Some men use these events to have extra-marital affairs. You may already know to look for a ring, but if you can, also talk to his co-workers and colleagues. If he’s trying hard to get you to avoid them, that’s a big red flag. Don’t mistake a business interest with a personal one. Can’t get him off of business topics? He’s probably not into you. You can confirm this by politely but firmly declining any business offer… while also making it clear you’d like to see him again. Great, you’re sold on the benefits. And you know how to overcome the potential problems. But you’re wondering: how do you go about approaching a guy at a convention – and get results? I’m going to give you a simple step-by-step plan. When you see a guy who interests you, learn about his business interests. Talk about your business interests. Look for areas where those interests overlap. This will help you to connect. Sure, it’s only business, but it’s a start. Plus, remember that he’s there for business. Finding a useful business connection will probably excite him. How do you move from there into more personal talk? Ask how he got where he is today. This will show you’re interested. And likely tell you valuable information about his goals. His education. His overall life path. In other words, you’ll learn about him – probably more than you would on a first date. Keep showing interest, and he’ll want to keep talking to you. Because if there’s one thing we like to talk about, it’s ourselves. It’s flattering when others are interested in us. And it’s likely he’ll ask you questions, too. Does it seem like you’re hitting it off? Mention a social event you’re going to at the convention. If he shows, that tells you he’s interested. It also gives you an opportunity to see him in fun mode. Who knows? 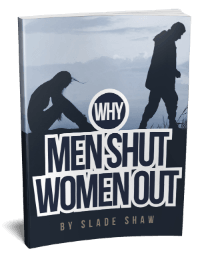 Maybe you’ll become a new business power couple! This entry was posted in Dating, How To and tagged how to get a man by James Bauer. Bookmark the permalink.